Jehovah’s Witnesses And The Doctrine Of Salvation. Soteriology is the technical term to describe the study of salvation. This article will explore salvation from the perspective of Jehovah’s Witnesses; both what it is and how it is obtained. Questions to explore include; what is the locus or nature of the need for salvation? What is the medium by which Salvation is obtained? What is the extent of salvation? What is the overall objective or goal of salvation? Once a definition of Watch Tower soteriology has been presented, a comparison with evangelical soteriology will be made. Overall it will be argued that the Watch Tower woefully misunderstands, and misrepresents true biblical salvation. 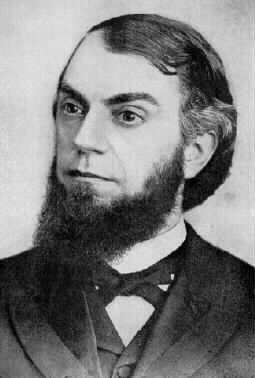 Charles Taze Russell, the founder of the Watch Tower Bible & Tract Society struggled from a very early age to accept his reformed Church doctrine of predestination. When Charles was aged nine (1861) his mother died after a short illness, devastated he agonized over where she was: heaven or hell? Overtime Russell grew ever more skeptical of the doctrines, creeds and dogmas of traditional Christianity, until finally he rejected them as hopelessly inadequate (Zydek, 2010, pp. 10-13, 24). Aged seventeen Russell happened upon a meeting that changed his life and his soteriology. Jonas Wendell – a former follower of William Miller – now an age-to-come millenarian, spoke persuasively concerning the second advent of Christ. Immediately hooked Russell joined this schismic Adventist group, wherein he readily accepted many comforting new doctrines such as “soul sleep” and “annihilationism”. Eventually, Russell drew together the teachings of various preachers, including those of Henry Grew, George Storrs and George Stetson to formulate his own peculiar understanding of salvation. Probation and the Ransom Sacrifice. This insightful paragraph helps us better understand the true meaning of Watch Tower salvation. Firstly the proposition is made that because Christ died for “all” this must include the dead from centuries past. Applying logic Russell conceived that for justice to be done “all” of mankind must receive a second chance by way of earthly resurrection. Note though how salvation is here described as conditional on continued obedience. In Watch Tower soteriology, the nature and locus of the need for salvation stems back to the Garden of Eden. Through Satanic temptation, Adam and Eve lost eternal life, not only for themselves, but also for all humanity. Thereafter sin entered into the human race causing death/annihilation. The soteriological focus then, is not so much relational i.e. God seeking a way to restore fellowship with men – but rather physical. This is an important nuance to comprehend; the desire of God, according to Watch Tower soteriology is to restore mankind to eternal life in a paradise earth wherein his original purposes will be fulfilled and his name vindicated. Over and above eternal life on earth, J. F. Rutherford developed the doctrine of a heavenly class, namely the 144,000. Russell had believed these to be a “special class” of Jewish believers – Rutherford however, revised this, asserting that the 144,000 represent an anointed Christian class said to rule with Christ from heaven over the restored earth. A further twist is added when we consider the nature and locus of salvation for living Jehovah’s Witnesses. While the end game (for the majority) is life in a paradise earth, the former can only be realized after the battle of Armageddon. This fearful cleansing of earth adds a new locus of salvation, namely individuals must meet certain criteria if they hope to survive the apocalypse. These paradoxical statements beg the question; what or who is the medium of salvation for Jehovah’s Witnesses? 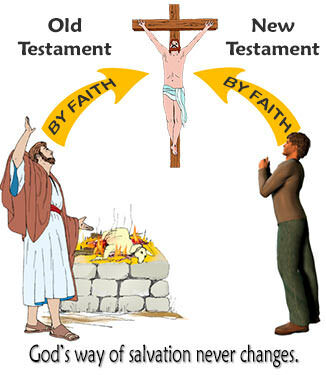 Certainly faith in Jehovah God and Jesus Christ are initial steps towards salvation. Moreover no Witness would deny that the death of Christ is essential for salvation. Nevertheless, despite such affirmations, in truth Christ death is viewed as nothing more than equivalency – a corresponding ransom – equal to the thing lost. Jesus as the perfect man died to buy back the opportunity of salvation. Consequently witnesses can speak of salvation paradoxically, firstly as a free gift – because Jehovah is at liberty to either save or destroy – and secondly alongside good works in order to prove faith. Tragically faith in Christ does not complete salvation; rather faith is one of many steps towards salvation. Some of these steps or ordinances include, water baptism, door-to-door evangelism, bible study, regular attendance at kingdom Hall meetings and conventions, maintaining standards of morality including rules set by the Watch Tower, such as abstinence from smoking, whole blood transfusions, Christmas celebrations, Birthdays, political office etc. Above all this, is the golden rule; complete unquestioning obedience to the Governing body (Gruss, 1977, pp. 93-94). In recent years JW.org has carefully tried to reinvent itself as a neutral. 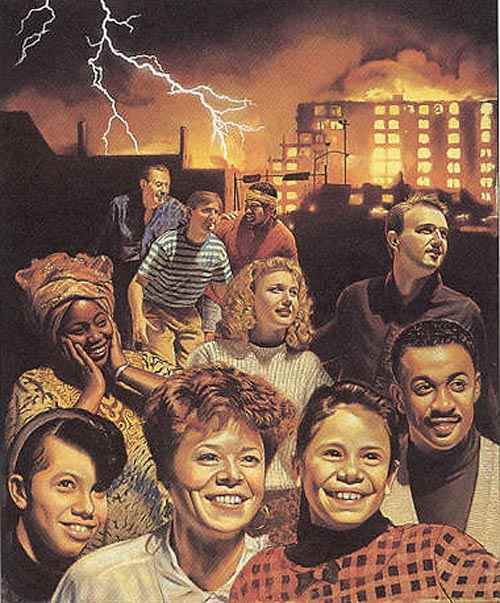 Under the heading: Do Jehovah’s Witnesses Feel That They Are the Only People Who Will Be Saved? Watch Tower propagandists dodge the obvious by piously asserting, “it’s not our job to judge who will or won’t be saved. 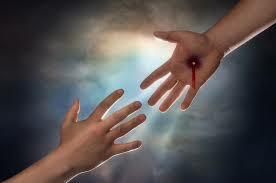 That assignment rests squarely in Jesus’ hands”. Incidentally the term “saved” here refers to being saved through Armageddon. Despite the rhetoric, the fact remains that Jehovah’s witnesses do believe themselves to be God’s chosen people and the Watch Tower organization to be Jehovah’s earthly channel of communication. That being the case, the extent of personal salvation depends as much on obedience and service to Jehovah’s organization as it does to Jehovah or Christ. If that we not so and salvation rested solely in God’s sovereignty then the Watch Tower could be dissolved without recompense. When pondering the rubric of salvation within the Watch Tower soteriology, two main divisions or groups of people emerge. One consists of those deemed Jehovah’s Witnesses – this would include faithful men and women throughout history. The second group (which encompasses the majority of mankind) are dealt with retrospectively. People who died in a so-called ignorant state, must they say, have another opportunity this trial for life being procured through resurrection to a paradise earth. Such a doctrine teeters dangerously close to universalism, after all how many people would honestly turn down a second chance? The Watch Tower avoids full blown universalism by submitting the salvation process to individual free will, some they say, will prefer annihilation while others (apostates) too evil for paradise will not be resurrected. As a side note, Jehovah’s Witnesses view physical death as payment of personal sin (Romans 6:7) thus when a non-witness relative or friend dies there is inward (if not outward) elation because for the witness death means the slate is wiped clean for the unbeleiver and they are guaranteed a second chance Paradise! This absurd doctrine destroys the work of Christ as the only mediator by which sin can be forgiven (cf. Mark 2:7-9; 1 John 2:12). When a person becomes a Jehovah’s Witness they genuinely believe that by serving faithfully, until either death or Armageddon, that salvation might just be achieved. The salvation goal is eternal life on earth for those of the “Great Crowd” and heavenly life for those of the “144,000”. In reality permanent salvation can never be realized, only perhaps for the 144,000. 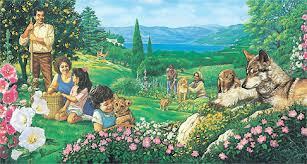 Witnesses who inherit paradise earth will not automatically receive eternal life rather life eternal will be forever dependent upon continuous obedience. That being so, earth dwellers carry the continual threat of annihilation. JW.org freely admits this: “Can you lose out on salvation? Yes. 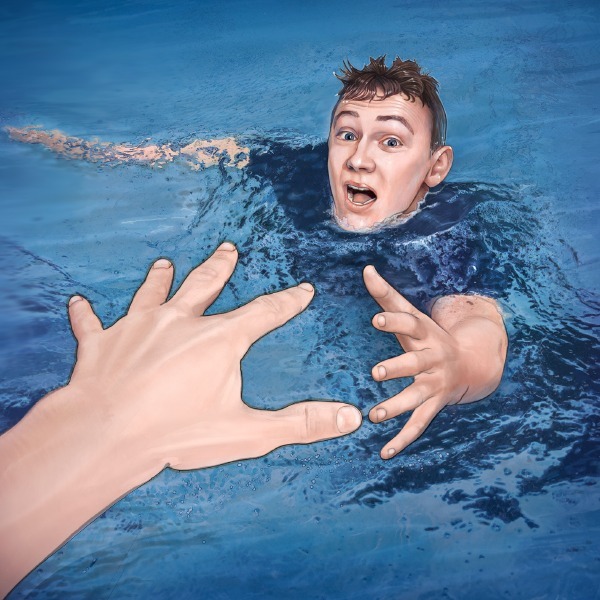 Just as a person saved from drowning could fall or jump back into the water, a person who has been saved from sin but fails to keep exercising faith could lose out on salvation” – Such is the happy message of the Watch Tower society (irony intended). While the 144,000 may well bask in eternal security, for the majority of humanity the trial for life that Russell so enthusiastically promulgated is in truth an invitation to an eternity of good works, by which one maintains, but never receives full salvation. Religion is fundamentally an attempt to reach out towards an all-powerful God in acts of appeasement. Israel’s ancient sacrificial system highlights the need to appease God for sins committed. In similar vein, Jehovah’s witnesses attempt to appease Jehovah by continual good works. Yet is this the way to salvation? Traditional evangelical orthodoxy presents salvation as the ultimate gift of God in answer to the human predicament. It is not merely the physical condition of sin and death that is addressed by Christ sacrificial death, nor was Christ sacrifice merely a doorway to a second chance. NO – the primary goal was to restore relationship between God and man, to restore the intimacy that existed in Eden. Evangelicals understand the scriptures to indicate that there are two major aspects to the human problem of sin. First sin is broken relationship with God. The human has failed to fulfill divine expectations, leaving him/her guilty before a holy God and thus liable to punishment. Second our nature as humans is spoilt by sin, causing corruption within our mind and flesh that ultimately leads to death. In summary all humans are guilty before a Holy God and deserving of eternal separation. (Erickson, 2004, pp. 902-905). A crude scenario may here prove helpful. Imagine you had a debt that you could never pay and because of that debt you were estranged, imprisoned, and separated from God. 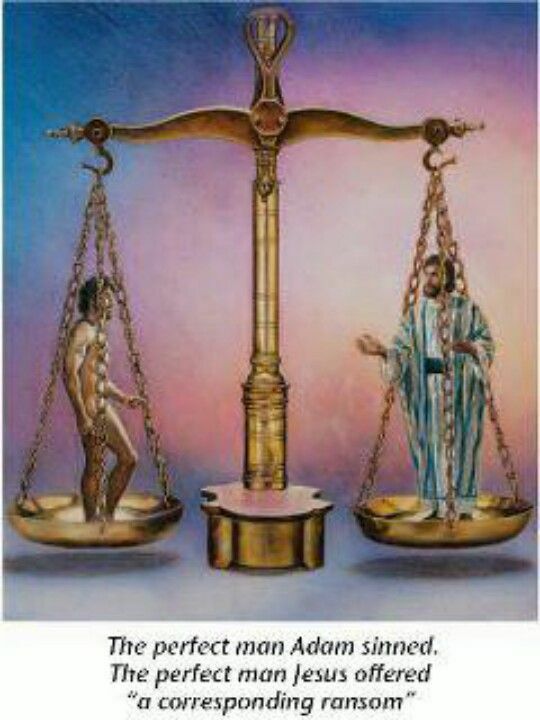 Imagine then someone offering to pay that debt, to eradicate and remove that debt thereby freeing you and restoring you to fellowship with God – this my friend is what our Savior Jesus offers: absolution from sin and justification before God through being brought into a legal union with Christ. Jesus spoke of this change as being “born again” – an internal change whereby one is imputed with the righteousness of Christ, a moment in time when the believer receives the gift of the Holy spirit and is adopted into the family of God. This inward supernatural change, that guarantees our inheritance, glorification and immortality. After salvation is received as we grow in relationship with Christ and submit to his Lordship the Holy Spirit guides and changes us from within. This is called sanctification, the process of being changed. This should not be confused with justification, which is a forensic and irreversible reality. How so? Because salvation is an act of God towards the sinner based on faith in his Son. A person is saved by faith alone in Christ alone; there is no other way to be saved. Consequently Christians do not serve God to get saved; we serve because we are saved. “And those He predestined, He also called; those He called, He also justified; those He justified, He also glorified… Who will bring any charge against those whom God has chosen? It is God who justifies. Who is he that condemns? Christ Jesus, who died more than that, who was raised to life – is at the right hand of God and is also interceding for us… For I am convinced that neither death nor life, neither angels nor demons, neither the present nor the future, nor any powers, neither height nor depth, nor anything else in all creation, will be able to separate us from the love of God that is in Christ Jesus our Lord” Romans 8:30, 33-34, 38-39 (ESV). Jehovah’s Witnesses and the Watch Tower organization regularly speak about salvation. They meet to encourage one another to keep exercising faith, all with a view to being saved, firstly from the battle of Armageddon and secondly into a Paradise earth or heaven respectively. These are goals that each individual witness strives towards. In all of this salvation boils down to human effort, the more you do the more chance you have of being saved; such is the progressive nature of Watch Tower soteriology. The pragmatic consequence of such a man-orientated salvation comes at a huge human cost. Over the decades, perhaps millions of Jehovah’s Witnesses have found the task too much. Many burn out or fall away only to find themselves marginalized by their community. Why? Because works mean everything; works essentially prove ones faith without which salvation is impossible. Tragically the offer of true salvation by faith alone in Christ alone is an alien doctrine to Jehovah’s witnesses. Instead Witnesses live bound in a suffocating web of legalism, working for an organization that could (and would) dismiss them offhand should they fail. Such is not the case with Christ. Let us pray that the King of Kings, Jesus Christ will continue to draw men and women out of the fiction of Watch Tower soteriology into the fullness and freedom of salvation in Christ. Amen and Amen. Gruss, E. D. (1976). Apostles of Denial – An examination and expose of the history, doctrines and claims of the Jehovah’s Witnesses”. United States: Presbyterian and Reformed Publishing Co.
Russell, C. T. (1915). The Divine Plane of the Ages – A Helping Hand for Bible Students. Brooklyn, NY: Watch Tower Bible and Tract Society. WTBTS, (1986). Worldwide Security Under the “Prince of Peace” Brooklyn, NY: Watch Tower Bible and Tract Society. Russell later taught that not enough faithful Jews could be found to make up the 144,000 and therefore the remnant was to be made up with gentiles. This adaption no doubt paved the way for Rutherford to completely replace literal Israel with spiritual Israel. Unfortunately the Watch Tower has renounced the sovereignty of God, claiming that Satan rules the World. Moreover great emphasis is put on human responsibility and free will to work out ones salvation. Witnesses believe that those who die at Armageddon are annihilated. “So is it with the resurrection of the dead. What is sown is perishable; what is raised is imperishable. It is sown in dishonor; it is raised in glory. It is sown in weakness; it is raised in power. As was the man of dust, so also are those who are of the dust, and as is the man of heaven, so also are those who are of heaven. Just as we have borne the image of the man of dust, we shall also bear the image of the man of heaven. Behold! I tell you a mystery. We shall not all sleep, but we shall all be changed, in a moment, in the twinkling of an eye, at the last trumpet. For the trumpet will sound, and the dead will be raised imperishable, and we shall be changed. For this perishable body must put on the imperishable, and this mortal body must put on immortality” (1 Corinthians 15:42-43, 48-49, 52-53). In St. Paul’s liberating description of Christian resurrection he never speaks of a second probationary period; instead under divine inspiration he heralds a future destiny wherein all believers receive glorified immortal bodies. I am aware that not all Christians believe in eternal security. I pray we are at liberty to agree to disagree on this. My only question would be: how can you add anything or take away anything from the gift imputed to you? God saves, not us. For those wrestling with soteriology, I would recommend the book: Beyond Calvinism & Arminianism – An Inductive Mediate Theology of Salvation by C. Gordan Olson. Many former Jehovah’s witnesses are quite understandably so disillusioned with “religion” that they adopt the postmodern worldview of “relative truth” often becoming atheist or agnostic in the process.